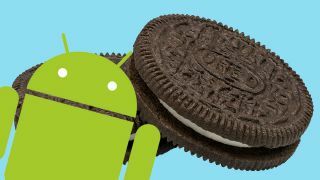 While Android Pie has now been announced and will be headed to various high-end and high-profile handsets before too long, those using mid-range and low-end Samsung phones will in many cases still be waiting for Android Oreo. But we now know that update is coming to many of them – though not until 2019. SamMobile has spotted that Samsung’s latest update roadmap lists various devices, such as the Samsung Galaxy J7 (2017), Samsung Galaxy Tab A (2017), Samsung Galaxy C9 Pro and others (all shown in the image below), as getting Android Oreo in January 2019. However, for many of these devices this seems to be a delay, as a previous roadmap had them listed for December 2018. And some will be waiting even longer, with the Galaxy J7 Max down for a February update and the Galaxy J7 (2016) not scheduled to get Oreo until March. However, the Galaxy J7 Neo at least seems to be sticking with the old schedule and getting a December 2018 update. It’s also worth noting that the Galaxy J7 (2016) is an oddity here as it has already had one major Android update and usually Samsung’s budget devices are only eligible for one. Whether this is an exception or a sign that this policy is changing is unclear. Further complicating things is the fact that the schedule can vary by region. We wouldn’t expect massive differences, but if you have a Samsung phone you can check for yourself in the Samsung Members app.